DJ Deej and DJ S-Goods were joined by DJ Goldilocks on the show. She is going to be hosting After Class on Thursdays from 10-11 p.m. She’s a Communication Studies major at Laurier. Our Tuesday host threw her right into the ring, and she came out looking like Holm, rather than Ronda Rousey. That fight over the weekend has been greeted with nothing but silence from Ronda, and we are curious to know what her next move is going to be. 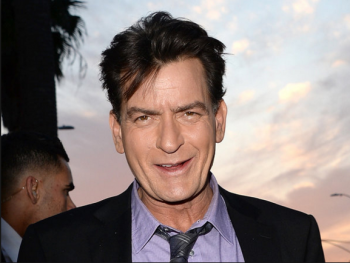 Charlie Sheen has revealed to the public that he is HIV-Positive, and has been for the last four years. Six of his previous partners have come out, saying that they’re suing him. We plan to follow this story over the course of the coming weeks. All DJs predict that many other women will come forward with accusations and claims that they had Charlie Sheen as a sexual partner, and that they had no idea about his positive status. Facial reconstruction has hit a new peak. After 26 hours and the work of 100 physicians taking 2 hour shifts, a full “faceplant” was performed on a firefighter. The Guardian wrote a full report on the ground-breaking medical procedure. To read more, click here: Full Face Transplant. Justin Bieber’s Purpose leaked last week, and the visuals for every single song came out over the weekend. Some are referring to it as the “Beyonce effect.” Pitchfork rated the album at 6.2 out of 10, and all of our DJs agree that the album is generational. Bieber did not go into the project with the intention of gaining new fans, but to regain his original “Beliebers” that followed his work when he dropped, “One Time.” It is predicted that the album will do well upon its official release.